Even on holiday it's a challenge to stop myself from rushing, but as I leave Los Angeles bound for Santa Barbara, I take a local's advice to drive the slower 101 coastal highway instead of the freeway. "It's worth the extra time," he assures me. It proves a splendid move: the journey taking me past swathes of southern California's pretty farmland before giving way to the region's idyllic coastline, the majestic Santa Ynez mountains on one side and the sparkling Pacific Ocean on the other. Soon there is the architecture for which Santa Barbara is famous – Spanish-style homes with red-tiled rooftops and whitewashed adobe walls. 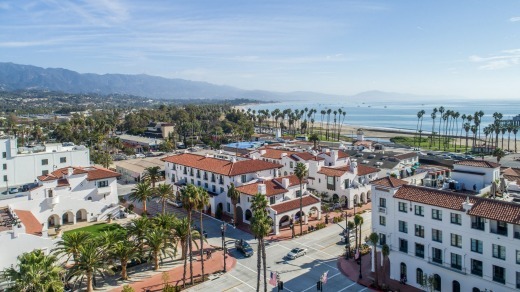 Known as "America's Riviera", Santa Barbara has been a drawcard for movie stars and political heavyweights (think JFK, Ronald Reagan, Charlie Chaplin and Marilyn Monroe) since the 1930s. Unlike its crowded, flashy neighbour LA, the chic Mediterranean-inspired coastal hideaway feels sophisticated yet laid back. To locals and anyone who keeps up with Hollywood gossip, this beach community is best known for its famous residents. Oprah Winfrey has a sprawling 42-acre estate in the lush Montecito area, Katie Perry was born here, and Ellen DeGeneres recently sold her $US34 million mega mansion. 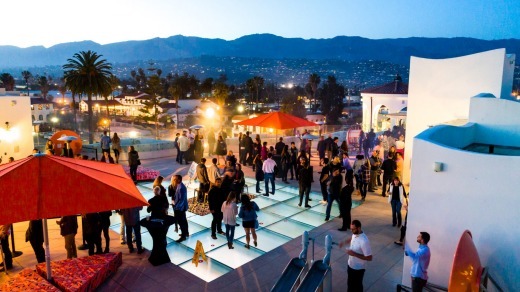 Santa Barbara is also the go-to destination for many A-listers keen to escape the rat race of LA for some weekend R&R. The sanctuary has much more to offer than celebrity sightings, even more so these days thanks to an exciting transformation, or what LA's ageless actors might term, "a facelift". This rejuvenation includes a hip new design district known as the Funk Zone, a revitalised restaurant scene and the Urban Wine Trail. There is a fancy new hotel, too. The Hotel Californian has 121 rooms and suites that are spread over three buildings, and includes cafes, a fine dining restaurant, and a rooftop pool and jacuzzi. 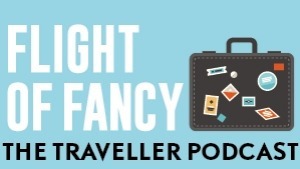 Everything feels shiny and new at this hotel (it opened in 2017), including the rooms that are spacious and plush, and boast balconies – a great vantage point to people watch over a glass of local pinot noir. Blackbird is the Hotel Californian's signature restaurant and while hotel restaurants have a reputation for being lacklustre – and are often avoided – this one proves the exception. 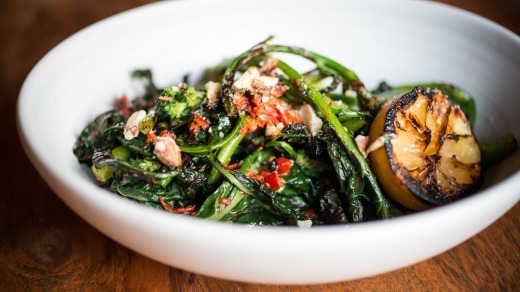 It probably helps that the executive chef is Alexander La Motte who worked alongside Thomas Kellar of Napa Valley's famed French Laundry and Per Se in New York. Blackbird's sophisticated farm-to-table menu changes not seasonally, but every week and on our visit, we enjoyed local wild King Salmon, and a unique take on ravioli that was served with morels, asparagus and nasturtium. Don't bother hesitating about whether to opt in for dessert as it's spectacularly good, so good I am tempted to order a second. Among the delights are "Peach", a compilation of ice cream, coulis, goat cheese, olive oil cake and rosemary, and the crowd-pleaser "Chocolate": with a 70 per cent gateau, 80 per cent chocolate mousse and chocolate sorbet. 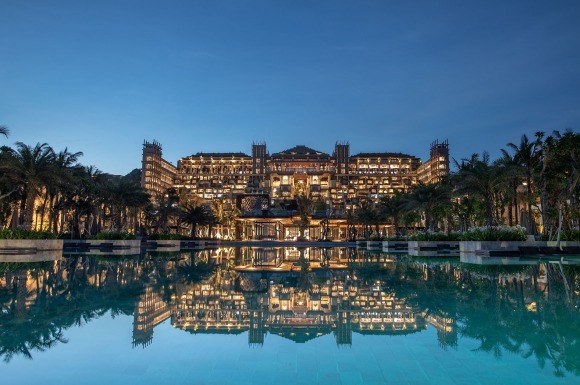 For me, one of the hotel's best attributes is its location, a stone's throw from an array of restaurants, wine bars, stores, galleries, the beach and pier. A few doors away were two special – albeit dangerous – temptations: McConnell's, which has been churning out small-batch ice-cream since 1949, and Melville Winery, home to the most highly respected pinot noirs of the region. 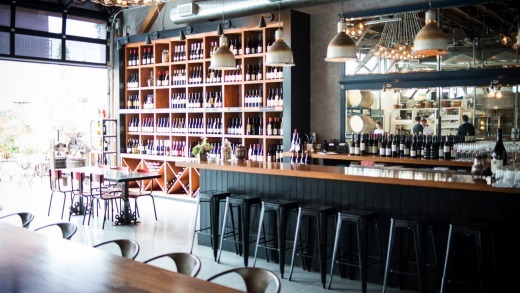 Melville Wine became the ideal launch pad for partaking in the Urban Wine Trail, a concept that means winemakers effectively bring the cellar door to locals and tourists alike. Rather than visitors spending an hour or more driving to the neighbouring vineyards, mapping out stops and appointing a designated driver, winemakers from almost 30 vineyards banded together to establish a walkable trail in downtown Santa Barbara. A friend and I spend several hours over two days strolling from one tasting room to the next. The cellar doors are an eclectic mix, ranging from shiny sleek bars to hipster storefronts with a garage-like feel and funky decor. Each one offers a welcoming smile, knowledgeable staff and wine flights priced from $15. Santa Barbara's once drab and partly dormant industrial area has been transformed into the Funk Zone, an art and design district that also boasts eateries, bars, wine tastings and cool stores. Shopkeepers has a large array of gifts, clothing, crystals, and jewellery from local artisans and designers from around the world. 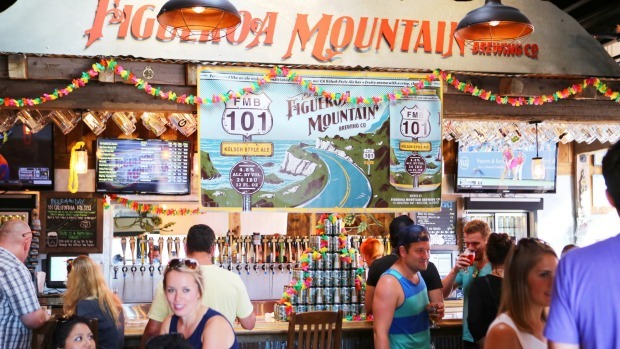 Fegueo Mountain Brewing Company, one of America's fastest growing craft breweries offers tastings of five flights, or sit at the bar, watch TV and enjoy a pint. Established by a father-and-son team, its trivia nights and live music attract plenty of locals, and patrons are allowed to order food from nearby. Venturing beyond downtown, the Four Seasons Biltmore, opened in 1927, is worth a visit or – if your budget will allow – a hotel stay. I opt for the former, and spend an afternoon luxuriating in the day spa, indulging in a body scrub, wrap and massage, followed by a cheese and wine platter. Later I wander the lush 22-acre gardens and try to spy Modern Family actor Sofia Vergara, having read she is in-house. Santa Barbara's dynamic restaurant scene, from old-school burger places and Mexican joints to lavish fine dining rooms, is a pleasant surprise. Intermezzo, a casual restaurant we discover along the wine trail, gives us sustenance to continue our afternoon of tastings, especially its must-order artichoke flatbread. 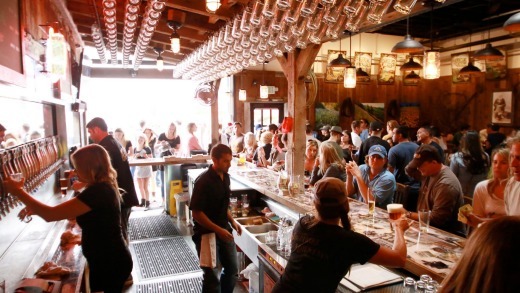 Tourists flock to La Super-Rica Taqueria, due mainly to the legend tale that it was Julia Child's favourite restaurant, but locals prefer Mony's, a no-frills Mexican hole-in-the-wall joint in the Funk Zone with a 12-choice salsa bar. Queues snake out the door, so go in off-peak times. Lebanese restaurant Zaytoon has a European charm, thanks to its food and ambience. Ask to be seated in the outdoor garden where fairy lights twinkle in the trees, and fire pits abound. The Hotel Californian in Santa Barbara has 121 rooms and suites that are spread over three buildings. At Loquita, located in the Funk Zone, I enjoy the best "pintxos" (small snacks) and tapas I have tasted outside of Spain, and soon learn why. The pillowy bread on the Pan con Tomate is imported from Barcelona each week, along with an array of cured hams and cheese. The chef, Peter Lee, I later learn, travels regularly to Europe and returns with riffs on dishes. "Bikini" is named after the famous Barcelona Bikini Concert Hall where street vendors famously sell ham and cheese toasties to late-night revellers. Loquita's version is a touch more sophisticated, with the additions of Iberico jamon, truffle butter and tomato aioli. Save room for the churros, a mega-size dessert with three dipping sauces that easily serves two, possibly four people. The experience, enjoyed under heat lamps in Loquita's outdoor patio, proves transportive, much like Santa Barbara itself. Ellen Connolly travelled with the assistance of Visit Santa Barbara. The drive from Los Angeles takes about 90 minutes.